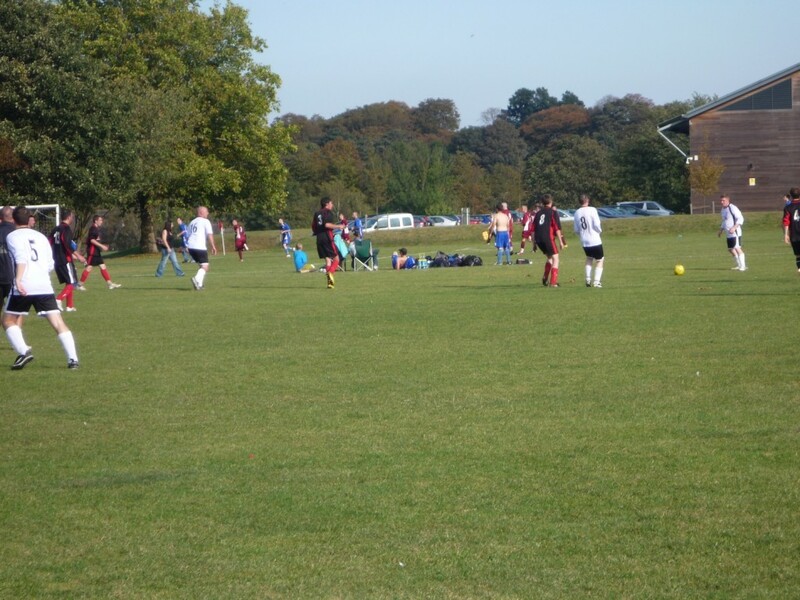 Saturday 1st October, the Anglian Knights travelled to play against Hockering Reserves, after suffering a heavy defeat to Ketts Tavern they were hoping to turn things around. It was a sweltering hot day, the sun was beating down on them, but neither side was going to let the heat get the better of them. 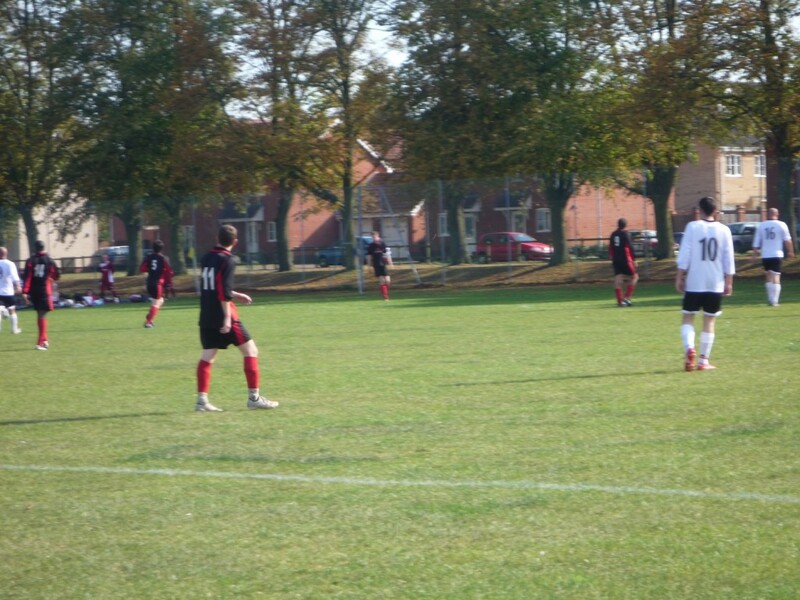 Anglian started the game quite well, passing neatly to feet, something they lacked against Ketts. The passing was creating space and giving Anglian the momentum to push forward and apply some early pressure, with the first real chance of the day falling to Louie Watts. Craig Kiddell’s 35 yard free kick was clipped over the back four, but the quick reactions of the keeper got him to the ball before Watts could get a foot in. The pressure continued to be piled on by the Knights with some neat passing saw Louie Watts turn the right back well and cross the ball into the box, but the header from Craig Kiddell was nodded just wide. Hockering played a lot of long balls hoping for the ball to fall to them or for a mistake at the back, but this week the back four looked strong, winning a lot of balls in the air and clearing their lines. Anglian’s build up play was looking good and a great diagonal pass into the box had put Mark Escott one on one with the goalkeeper on the left hand side, but his shot to the right of the keeper was saved by his outstretched arm brilliantly. 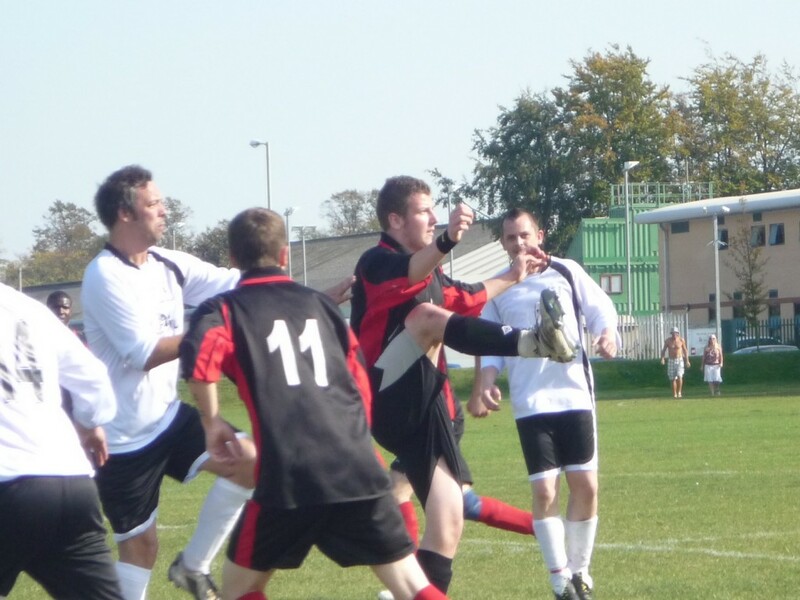 This pressure then spurred Hockering on to play counter attacking football, with the little right winger putting in some good crosses, one of which was tipped off of the head of a Hockering striker by the Knights goalkeeper. The Anglian goalkeeper had not really been tested yet, but another counter attack by Hockering on the right saw a deflected cross spin into the 6 yard box. The ball went into a group of 4 players, including the goalie, but the ball squirmed through to the Hockering striker and was tapped into the gaping net! Anglian responded positively to going down 1-0 with new recruit Jim Newman hitting a long range effort, which dipped ferociously just over the bar. 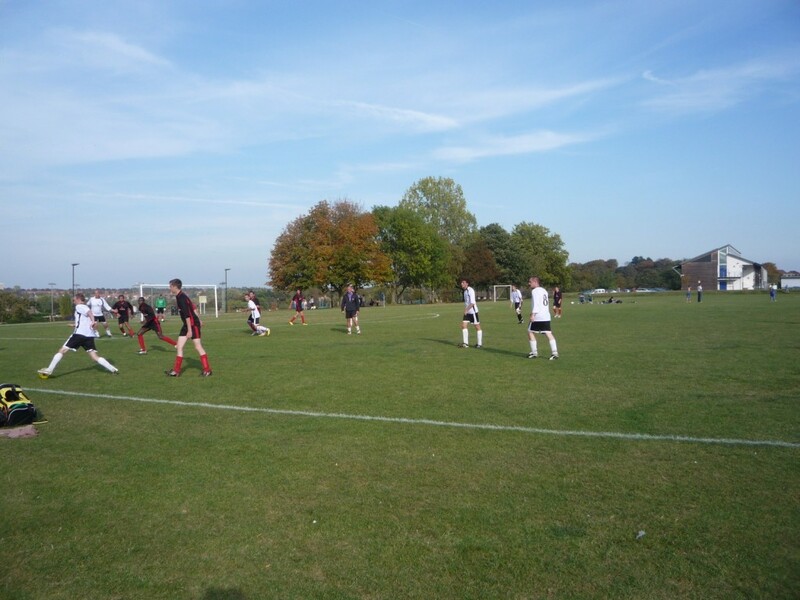 However, a display of sheer individuality and poor defending by Anglian saw the Hockering right back run almost the full length of the pitch, skinning 2 players before smashing the ball into the top right corner of the net. Hockering 2-0 Anglian. 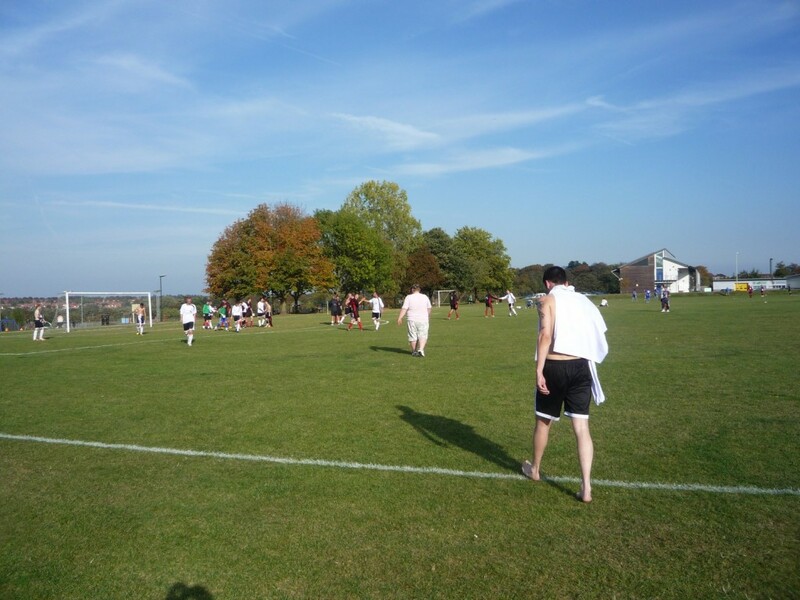 The second half started after a well needed water break, with the sun still shining down on the teams. The half-time team talk was a positive one, despite the score line, Anglian were playing very well and looked like a goal was imminent. 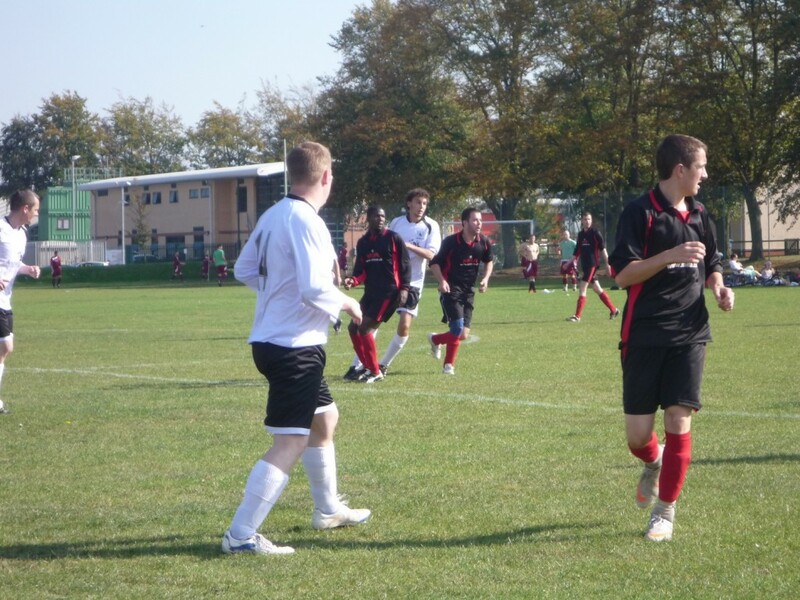 Anglian went out all guns blazing dominating the possession and peppering the goal with shots. The first was one that should’ve given the Knights a lifeline after great passing from the back four, to midfield and finally to Jim Newman, whose shot cracked the cross bar bouncing down, but back into play. Then Mark Cook had a long range effort blocked and Craig Kiddell’s shot was saved by an outstretched Wayne Morris in goal for Hockering. Anglian then won a corner, which was headed, but stayed within the area. 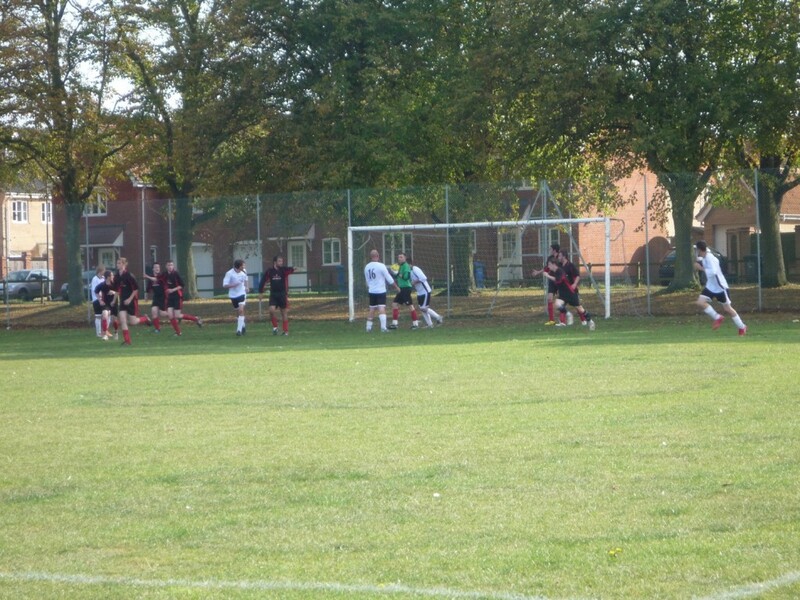 Louie Watts struck the ball on the half-volley, lobbing the keeper and the bar. Watts was intent on scoring, bringing the ball down from knee to foot on the turn, but again volleyed the ball over. 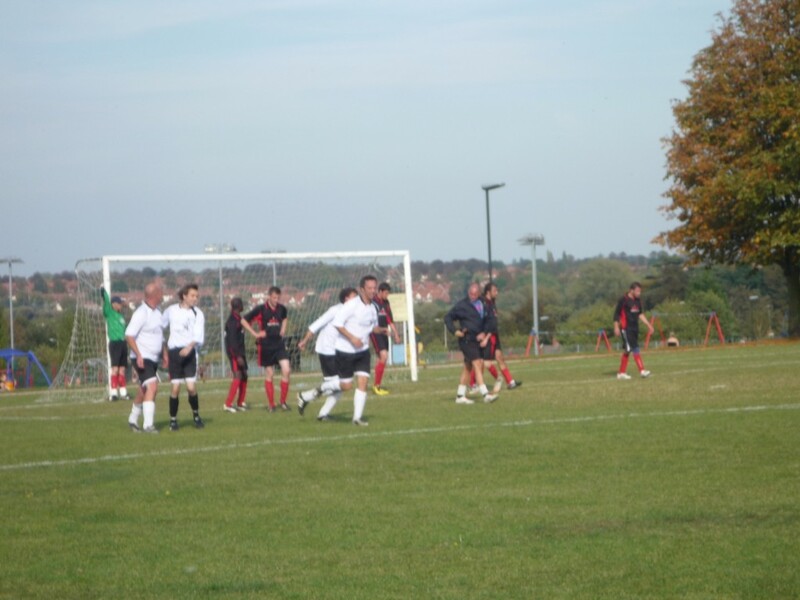 The Knight’s then won a free-kick in a dangerous position, but Watts could not get enough dip on the shot. Hockering did not ever look like scoring again in the second half, except for their tricky left winger, who cut inside on numerous occasions to shoot, but each time it was high and wide, not troubling the keeper. It looked like it was going to be “one of them days” for Anglian, so manager Phil Perriton replaced Mark Escott with Kierstan Foreman and Jon Knight with Chris Adamson. Adamson’s first touch was nearly a goal, after another Anglian corner was brought down by Newman, laid off to Adamson whose shot was saved superbly by the keeper. However, the resulting corner brought the goal that had taken a long time to come. Craig Kiddell’s long corner to the back post was met by the head of Louie Watts who nodded the ball down into the bottom left corner of the goal. 2-1 and the game is there for the taking! 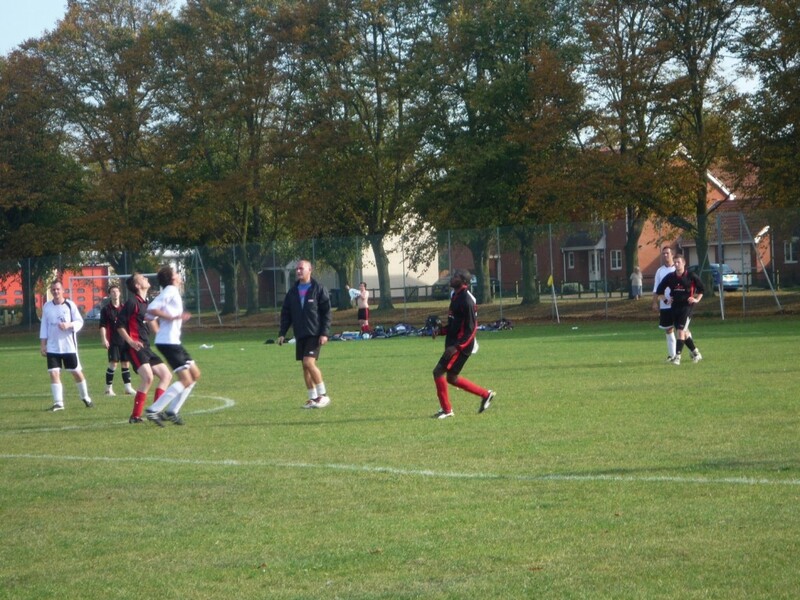 But it wasn’t to be, despite some great play by Anglian. Substitute Kierstan Foreman created some space for himself, coming inside from the left then slotting in Jim Newman on the left. He was looking dangerous, creating lots of space, but his shot was fired wide. Louie Watts’ left footed effort that followed was also bouncing just wide of the right post. Anglian Man of the match and left back Liam Smith then showed what great potential he has, linking up for a one-two with Watts and bursting into the area only to again be denied by the keeper, who then also saved the follow up shot. 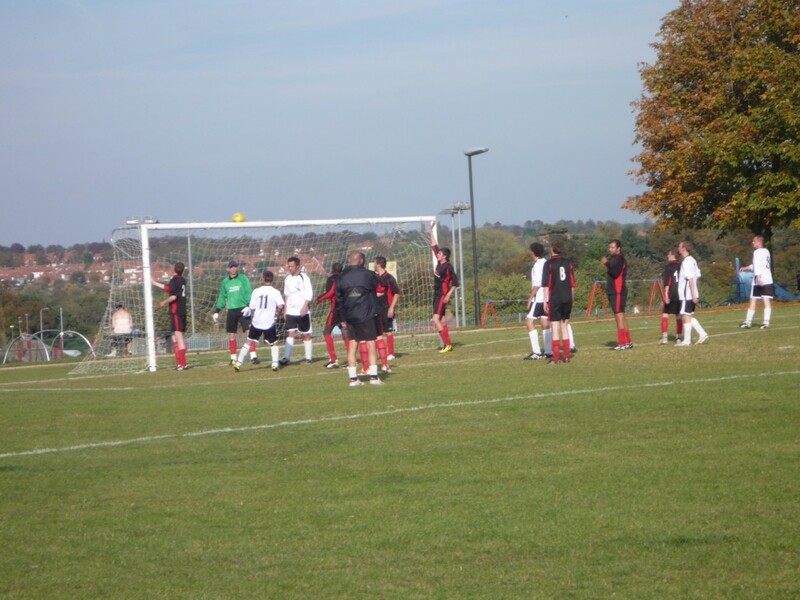 Hockering were pressed deep into their own half and with the final attack of the game being a corner kick, Anglian pushed everybody into the box, including the goalie, but the cross coming in went straight behind the goal, meaning the end result was Hockering Reserves 2-1 Anglian Knights. What a game! The lads went into the game with the perfect attitude, listened to the pre-game team talk and started with some wonderful passing of the ball. The conditions did take its toll on both sides with baking hot conditions. Thanks to ref Glen Massingham for putting in a water break midway through the half to ensure the lads were hydrated. Team selection was yet again a difficult one with a fantastic turn out. 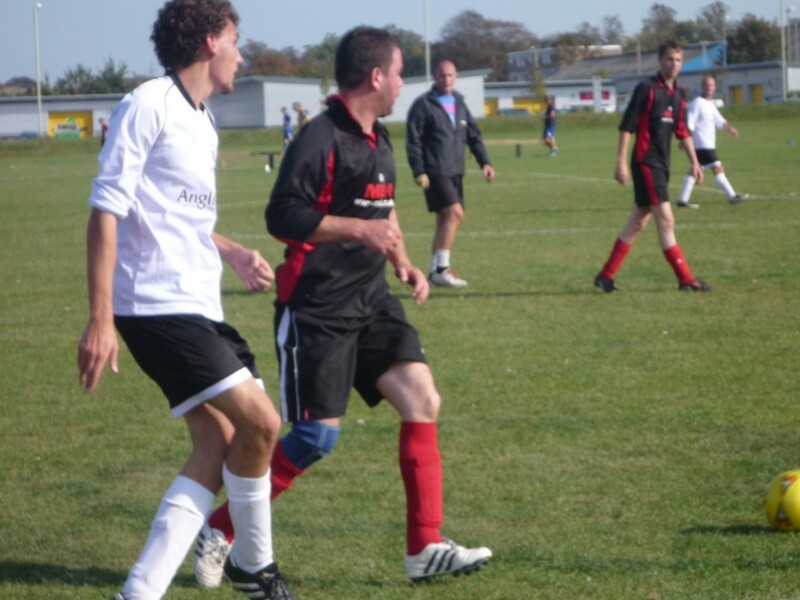 A shuffle around this week proved its worth with new boy Jim Newman up top with Craig Kiddell. They gelled straight away and looked as though they had been playing together for ages, a very positive attack with plenty of options. A solid performance from the back four as well allowed our midfield to push the attack on, Mark Cook played fantastically in front of the defence cleaning up and providing some wonderful balls working extremely well with Louie Watts. A first start for Jon Knight gave us another option on the right hand side and for a first competitive game, Jon performed extremely well, although the heat did take its toll. The first half was very draining in the heat and we didn’t take the chances we should have, and ending the first half 2-0 down gave us a mountain to climb. It looked bleak, we made no changes at the start of the second half as I wanted to see how Hockering approached the game. As soon as I saw they were sitting back it was time for fresh legs, so Kierstan came on for Mark Escott and Chris Adamson on for Jon Knight, both substitutes made an immediate impact with Chris’s first touch almost resulting in the Anglian opener, but yet again the Hockering keeper was in the right place at the right time. 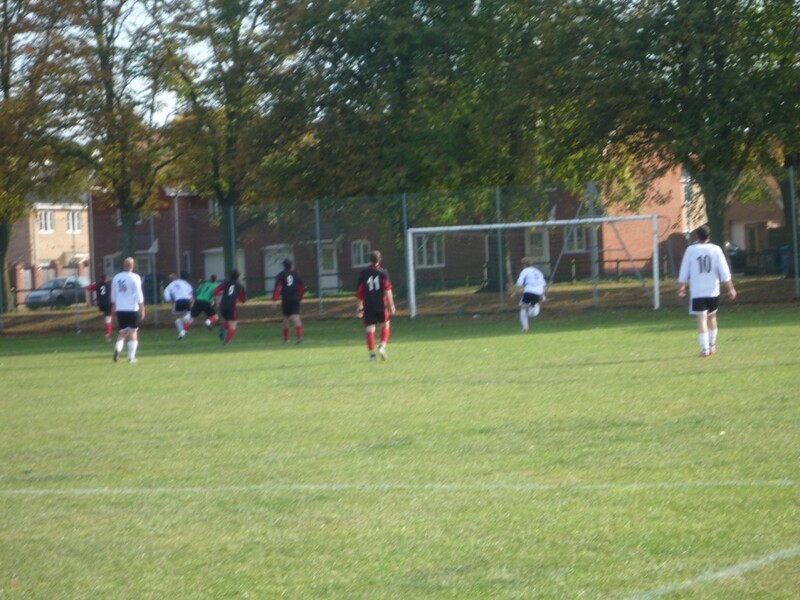 However, the resulting corner was struck perfectly by Craig Kiddell to the back post and met perfectly by Louie Watts. Game on. Hockering struggled to cope with the onslaught from Anglian and again Kierstan continued to terrorise the defence with some great runs and linking well with the front two. I made a big tactical change as the lads so deserved to win the game so we had to go for it. 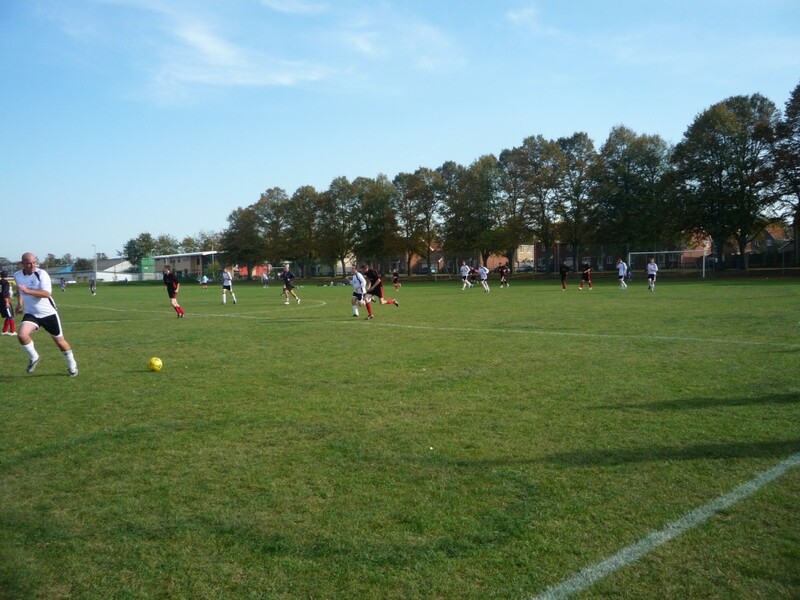 Kirk Lanckmans was sacrificed from the back four resorting to a 3-4-3 formation, Jacob Robinson coming on to play three up front, the pressure continued again and again we came close to equalising, but it wasn’t to be, with the final whistle eventually blowing resulting in a 2-1 loss. 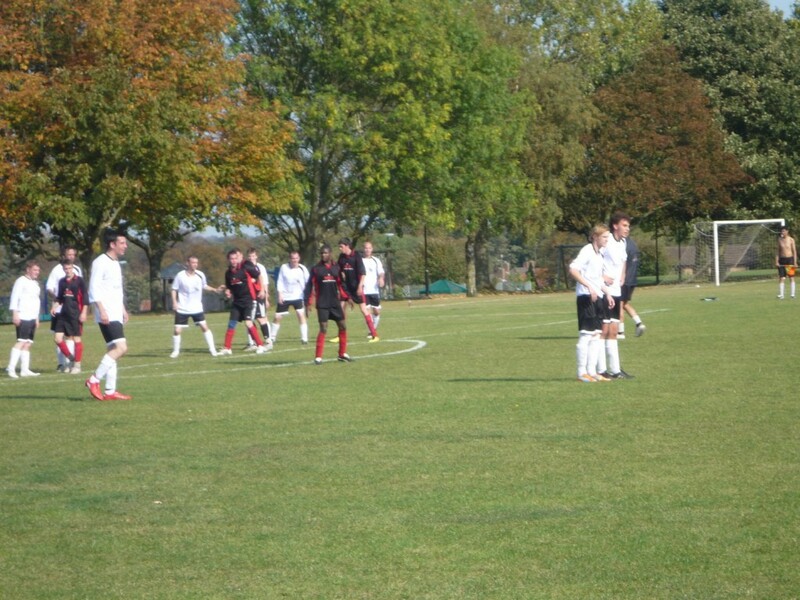 The Ref came over to us at the end of the game and congratulated the lads for an amazing second half. He couldn’t believe the end result from the pressure we put on them. Fair play to Hockering, they parked the bus and absorbed what we threw at them. That’s not taking anything away from the Anglian boys, it was the best performance of the season for me, a cracking effort by everyone. We still have plenty to work on this Wednesday, so make sure you’re all at training so we can get prepared for the Saturday.